My grandmother, on the far right, showing us all how to throw firewood. Dropping and ringing trees. Splitting and stacking wood. These are some of the primary chores at the cabin. 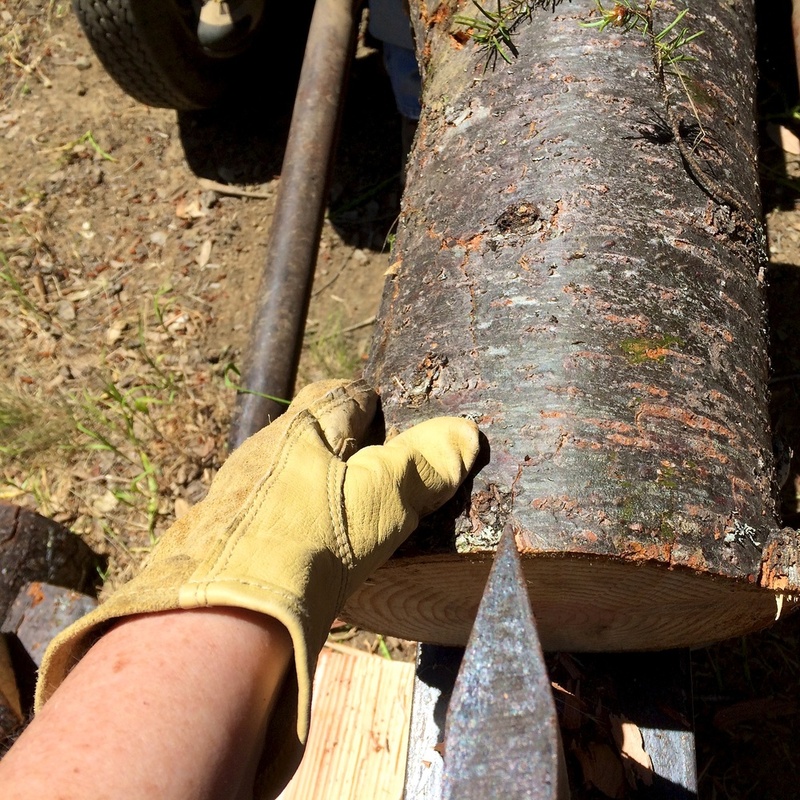 There’s something meditative-like about splitting wood hour after hour. Learning to read the grain, keeping your hands firmly but lightly on the sides of the ring and repeating each action efficiently but never quickly or carelessly. 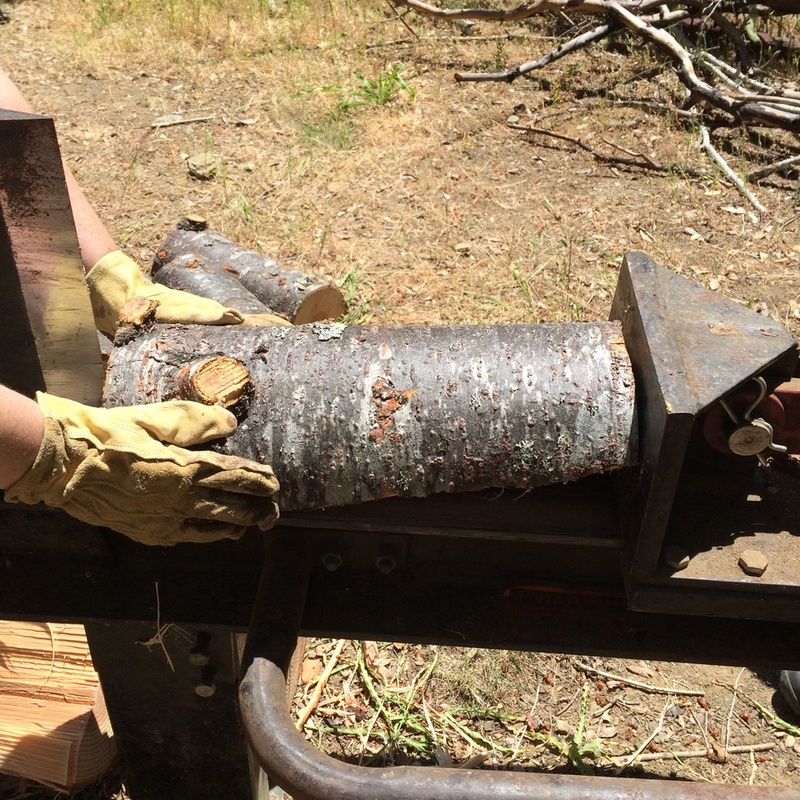 When Jack and I split wood, he takes the controls (and fuels the machine). I load the first ring and guide it with my hands flat against the outside. As it splits in two, I let the left side fall to the ground, watching where it lands to make sure my leg is out of its path (most of the time). I set the right half on the rack to split it in two. The left quarter falls to the ground while I align the other quarter flat-side down to make the first cut, a triangle-shaped piece from the far right. I hold the larger piece while I toss the small piece to the pile. Then the larger piece is cut in half and in half again to form four uniform pieces. 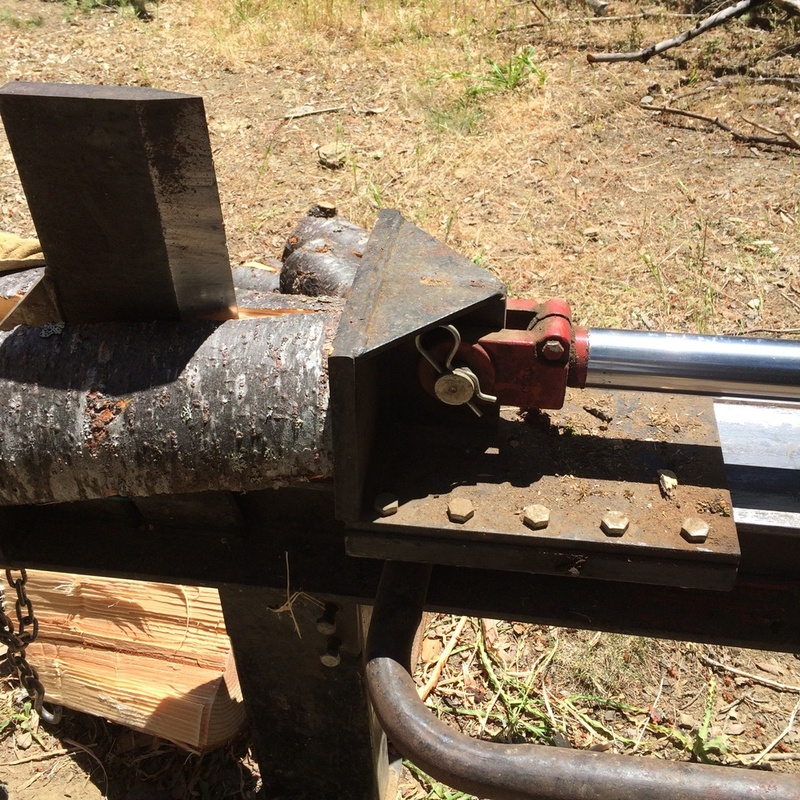 I slide them up over the blade and toss into the woodpile. And repeat. Josh learned to work the splitter so Jack could cut up some of the larger branches that weren't cut into rings by the lumberjacks. When we were kids, we didn't split the wood but we spent lots of time moving it to the woodshed, the structure made out of logs in the photo below. We all worked together and made a game of it to see who could throw the furthest. I remember one time, someone saw a snake. We all stood above the shed looking down at my grandfather or who ever went to find the snake. While we watched, Uncle George picked up a stick and ran it up the back of my grandmother's bare leg. How he got away with it says everything you need to know about how beloved he was!